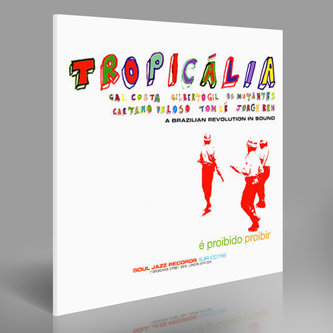 Packed with more vitamin C than a whole truck load of orange juice, this superlative Tropicalia collection brings together music from the likes of Os Mutantes, Gilberto Gil, Caetano Veloso, Tom Ze and Jorge Ben for the first time - the result being an utterly irresistible and fantastically infectious collision of styles/influences that your record-collection will be bereft without. Leaking energy and innovation from every pore, the sweaty amalgam of Psychedelic rock, avant-garde concrete, Samba, Funk and soul first emerged in 1960's Brazil - a time when the Brazilian military dictatorship was at its height, leading to the deportation of Caetano Veloso and Gilberto Gil in 1969. Probably the most recognisable of those included on this compilation are the wonderful Os Mutantes, helped in part by their association with Beck and Nirvana as well as their liberal use by advertisers (see 'A Minha Menina' in particular) their style of slurred vocals, guttural instrumentation and hook-heavy choruses make them a perfect bridge from western pop into Tropicalia. 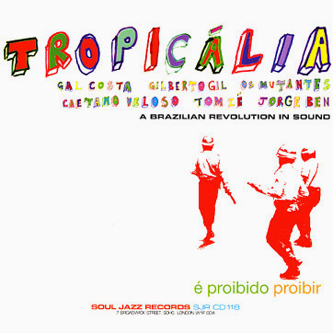 Clocking in at 20 tracks, there isn't a second of filler on the entire album - meaning 'Tropicalia A Brazilian Revolution In Sound' is both historically important and aurally nourishing... and you don't get that everyday. Eat up!